At Needham Taxi and Limo, we are focused on providing professional services with the highest levels of customer satisfaction – we will do everything we can to meet your expectations. With a variety of offerings to choose from, we’re sure you’ll be happy working with us. If you are calling on us for a night on the town or a ride to the airport, our pick-ups are prompt and our rates are reasonable. And you will appreciate our dedication to excellence when dealing with our courteous and reliable service. call us at (617)939-7499 or send an SMS to inform us of any changes to your traveling plans. Turn your cell phone on as soon as you land so that our driver establishes contact with you to give you a meeting location. For terminal A: Our driver will meet you at the ground level cross 2 traffic lanes at the limo area. For terminal B1 and B2: Our driver will meet you at the ground level outside the terminal cross the traffic lane at the limo parking area. 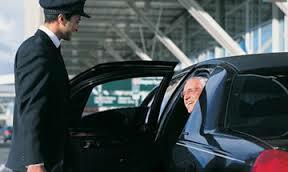 For terminal C: The driver will meet you on the upper level (Deparatures level) at the limo parking area. For terminal E: The driver will meet you out side to the left of the terminal cross 2 traffic lanes at the limo parking area. 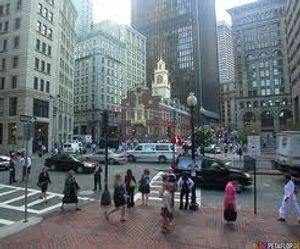 At Needham Taxi And Limo, every one of our clients gets the VIP treatment, regardless if you are a one-time traveler or a corporate client. Contact Us today to make special arrangements for events such as roadshows, business meetings and more. We serve Needham, Natick, Newton, Westwood, Metrowest, the greater Boston area and its surrounding airports. Pre-paid accounts, pay-per-ride and monthly flat rates are available. Please contact us to find out which account suits you. We offer quality service at an affordable price. Learn more about our Rates.